Lydia Bakes: Happy Mothers Day! 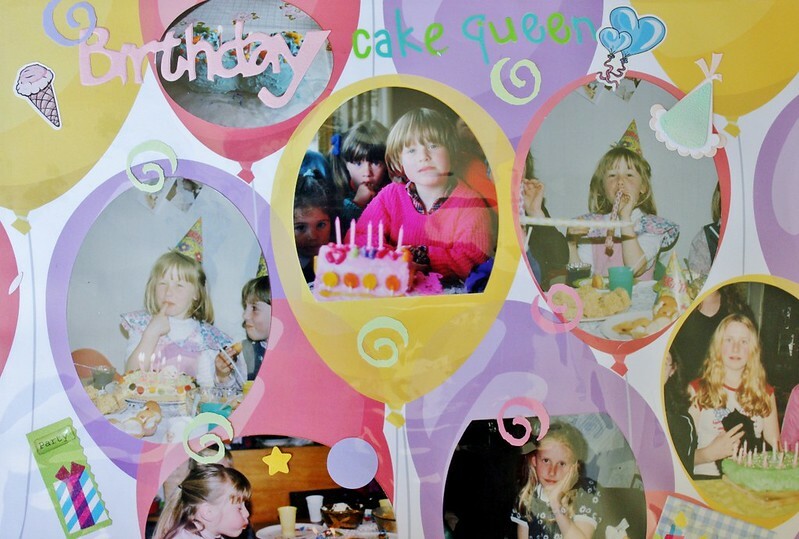 A while ago I was cleaning out my cupboards and storing things in big plastic boxes when I came across my old scrapbook my mum made for my 21st. 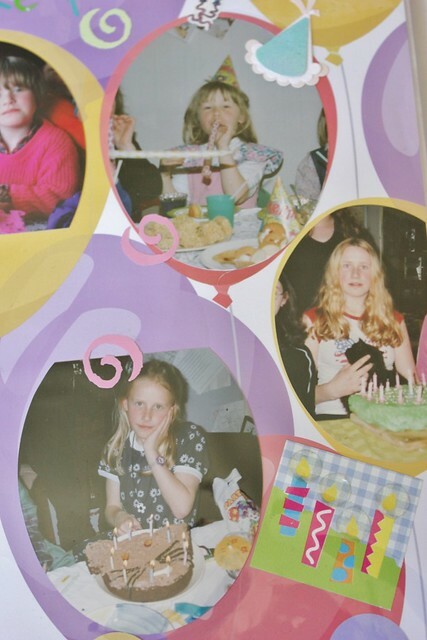 By far my favourite pages are the ones about all the cakes mum made me while I was growing up. Clearly I got my baking skills from her! 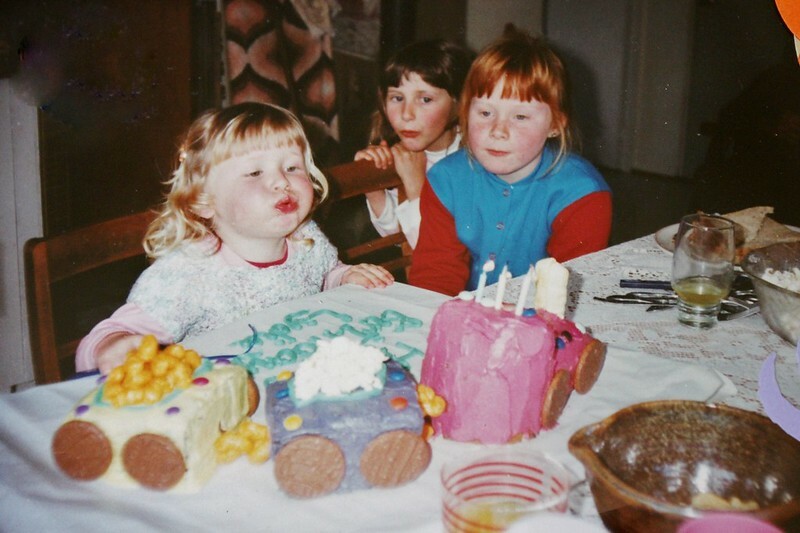 My most favourite cake in the world is my third birthday cake. The train cake. It features chocolate wheaten biscuits for wheels, an Eskimo lolly for the chimney, Rashuns chips for the chains joining the carriages together, popcorn and more Rashuns being carried in the carriages and is neatly decorated with a few Pebbles and perfectly bright icing. I'm pretty sure this is what made me become a cake decorator! 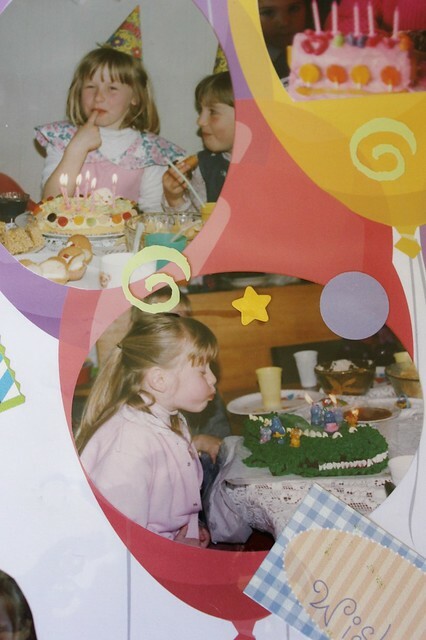 Other cakes I can remember over the years were a giant crocodile cake complete with an open mouth, a hickory dickory dock cake, a cat cake, an L shaped cake, an alien cake...you name it, I got it! My mum made all these cakes without having had any training. What a superstar! 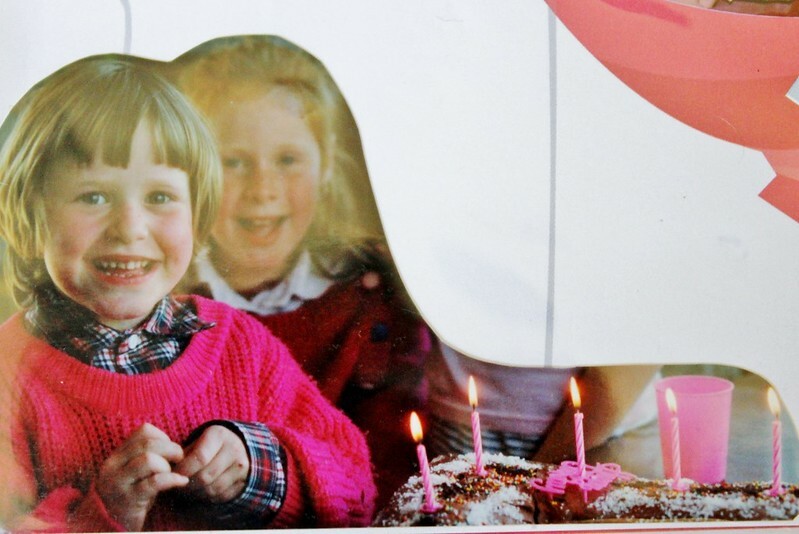 So I'd like to take this moment to say a giant THANK YOU to my mum, without whom this blog probably wouldn't be here. She has been a fantastic influence on me, not just in the baking area but in life. 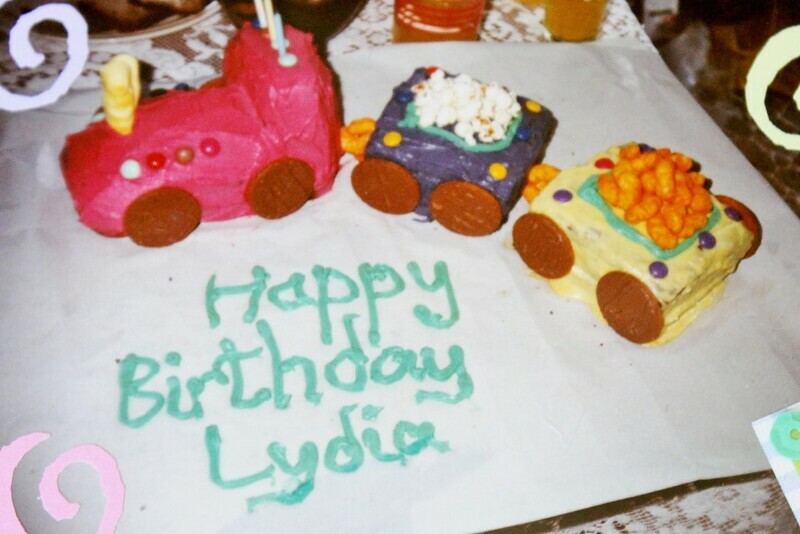 Aw shucks, Lydz, you were sho cute!